Moon Invaders is a small but very unique and creative game. It is a mix between tower defense and space invaders. 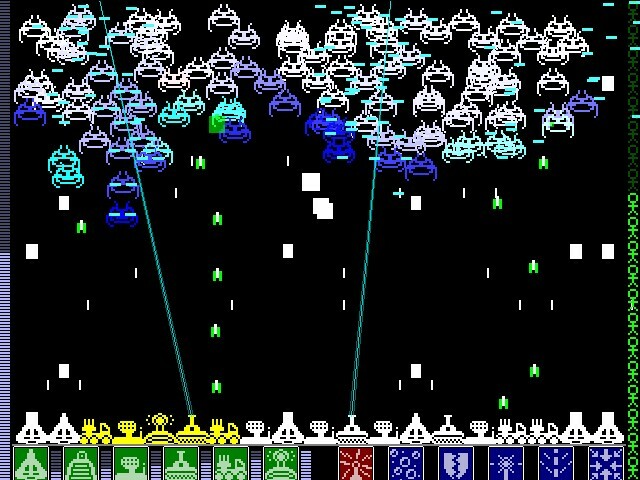 It playes like normal space invaders, with waves of enemies flying in from above. But instead of moving a gunship at the bottom, you build stationary towers of various kinds. There are 6 kinds of towers, each with several upgrade options. There are also 6 'global' upgrades that help all your towers. This is complicated a bit by the fact that the game contains NO text what-so-ever, and no explanations of anything. So discovering how the game works is part of the journey.